Could you please give me a brief introduction about yourself, particularly in relation to your connection with American Pit Bulls. My name is April Fahr, Executive Director of HugABull Advocacy & Rescue Society. 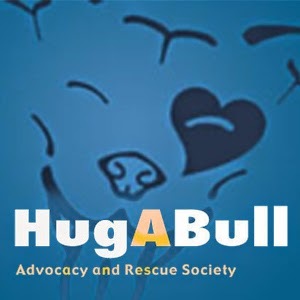 HugABull is a registered non-profit organization that promotes education and rescue of bull breed dogs in BC, and encourages responsible ownership of all breeds. In our 10 years of operation, we have pulled over 400 great dogs out of the shelter system and placed them in loving, responsible homes. 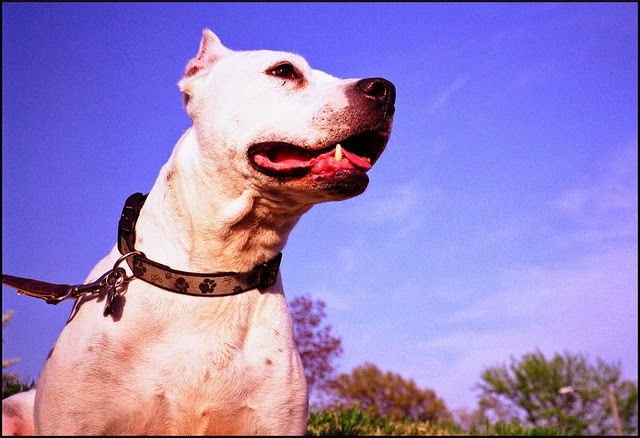 What is a typical personality that you would expect an American Pit Bull to have? Active, tenacious and endlessly loving. You can read their breed profile here. 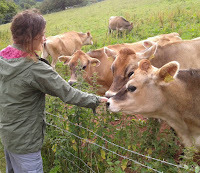 How much of their personality and behaviour is due to nature (their breeding and genetics) and how much is due to nurture (the way their owners raised them)? Just like with other dog breeds (or with humans) there's no definitive answer to that question. It's certainly a combination of both. A breeder who is breeding for profit, or by accident, won't be taking temperament or health into account, and those genetics may cause problems down the road. And a puppy that grows up on the end of a [tethered] chain will like have behavioural problems as it grows older. This is true of any breed. Why do American Pit Bulls often have such a bad reputation, particularly as being aggressive and dangerous dogs? 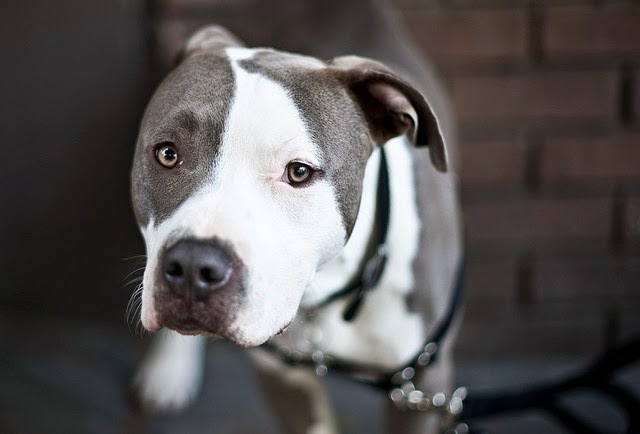 Pit bulls have historically been associated with dog fighting activity and culture, contributing to a "tough guy" image and this can attract the wrong kind of ownership. Not surprisingly, poor breeding and ownership set up a dog for failure. There's also no question that the media reports "pit bull" attacks differently and with more sensationalism then when other breeds are involved. There's no evidence that pit bulls attack more often or more frequently than any other breeds, but they are reported much more widely. The National Canine Research Council has a pretty good overview of the role of the media. Would you recommend an American Pit Bull to someone who has never owned a dog before? Many of our adopters are first-time dog owners. If you have a commitment to being a responsible dog owner and a good breed ambassador, a pit bull can be a great choice. They are extremely human oriented, respond very well to training, and because all of our adoptable dogs are screened and in foster care, we can generally provide a very good match to the adopters lifestyle and experience. Check out our adoption page on our site for more information. Do American Pit Bulls make good guard dogs? Typically they do not. By their breed standard they are very human loving, outgoing and friendly towards strangers. They are not a guardian breed. Are American Pit Bulls safe to have around other dogs? Every dog is an individual. Some do best as only pets, but I would say the majority of dogs in our program are adopted into homes with other animals. 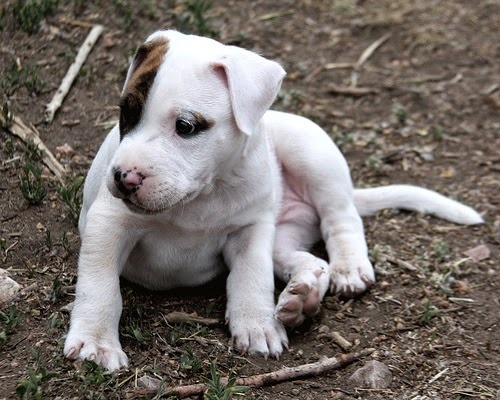 Pit bull breeds are a mix of bulldog and terrier lines, and it's not uncommon to see aggression towards other animals in either of these groups of dogs. Again, each dog is an individual, but we do tell adopters that bully breeds may show some intolerance to other dogs, or exhibit some prey drive. This is true of pit bulls and dozens of other common breeds. Are American Pit Bulls safe to have around children, both with supervision and without? By their breed standard, pit bull type dogs are extremely human loving and human tolerant - this generally extends to small humans as well. Many dogs in our program are "nanny dogs" to babies, toddlers, and children of all ages. We believe that all dogs, regardless of breed, should be supervised around children. Is it safe to adopt an older American Pit Bull that you know little about? Adopting an older dog of any breed can be a wonderful experience. By working through a reputable rescue, you can be matched with a dog that has been temperament tested and in foster care for a period of time, so its personality and quirks are fairly well understood. In fact, adopting a mature dog can help ensure you know exactly what you are getting - unlike adopting a puppy where it may show new and unexpected behaviors as it reaches maturity. What should you do to avoid being attacked, or if you are attacked, by an American Pit Bull? The same things you should do if you were attacked by any other dog. The Humane Society offers tips on how to avoid dog bites. What recommendations would you make for someone who is thinking of getting an American Pit Bull? Be prepared to be an ambassador for the breed! It can be challenging sometimes, but very rewarding to educate people about the potential of these wonderful dogs. Is there anything else that you would like to tell me about American Pit Bulls? They are one of the most common breeds in North America, owned by many celebrities! For more information please read Top Dogs Across America, 10 Celebrities Who Love Their Pit Bulls and Famous Celebrities Who Own Pit Bulls. I would like to say a big thank you to April for taking the time to answer all my questions. Please visit HugABull to learn more about this amazing charity and the work that they do. I agree! I love your your Blog which has useful information about pets.It would be very great if you visit my blog and post some comments !. You can adopt a dog or adopt a puppy from these agencies which are working hard to find adoptable pets.